Last year, I heard so much about the Glow Recipe Watermelon Glow Sleeping Mask and Son & Park Beauty Water. 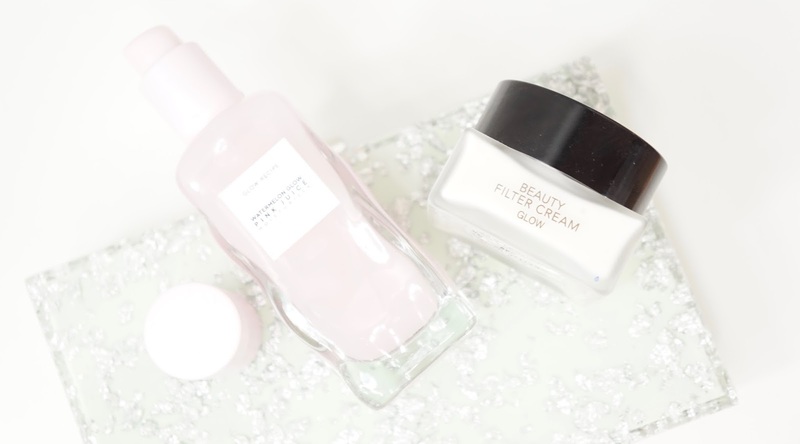 Recently, Glow Recipe brought out the Pink Juice Moisturizer and Son & Park brought out the Beauty Filter Cream Glow as follow up products. Both are supposed to be moisturizers but I've found that they're not hydrating enough for me just by themselves. As a reference, I have combination skin with an oily t-zone and dry cheeks. I mostly focus on purchasing glowy and dewy skincare products to keep my face looking bouncy and youthful. I'll just be doing a mini-review on both items as well as some comparisons in this post. As a disclaimer, I'm not well versed in skincare. Most of my feelings are based on how my skin ends up looking and feeling versus the ingredients in the product. 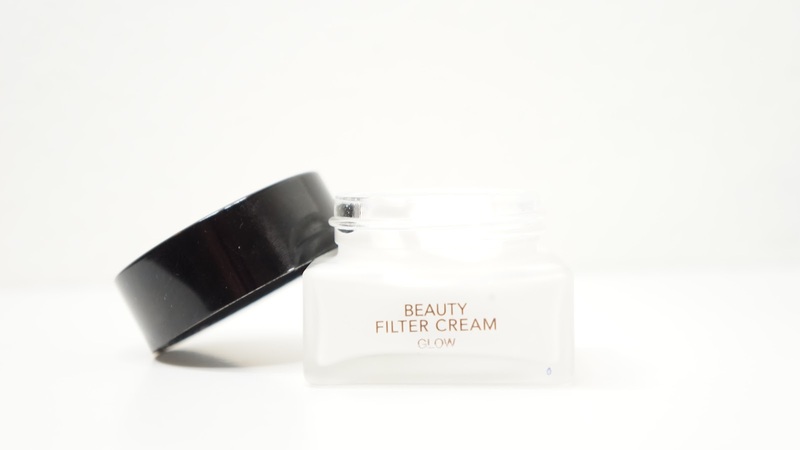 This cream is supposed to have a pearly lightweight whipped formula that will provide coverage while brightening your skin tone and priming your skin for makeup. I'm not exactly sure what they meant by coverage, but I saw what they were talking about with the other claims. There's also supposed to be some sebum control due to the rosa damascena flower in it. When I read the word "pearl" in Son & Park's description of the product, I was kind of thinking of something cream or champagne colored but it's actually a very fine pinky almost magenta shimmer running throughout the cream. I definitely wasn't expecting that and I'm not a fan of that shade all over my face. It's a very good thing that the shimmer is faint once blended out and not noticeable once you apply foundation, but it still annoys me because of my own pettiness. Weirdly enough, my skin doesn't feel moisturized with this cream no matter how much I layer it on. The formula itself doesn't sink in that well and isn't that moisturizing for my combo skin. I was going to give up on it and then I started to use it as a primer! My cheeks are on the dry side but my t-zone can get pretty shiny throughout the day. Even though this is a sebum controlling cream, it helped deal with both my oily and dry spots. My skin does look a bit smoother as well when I use this and so I mostly concentrate it on my cheeks since that's where I have the most texture and large pores. 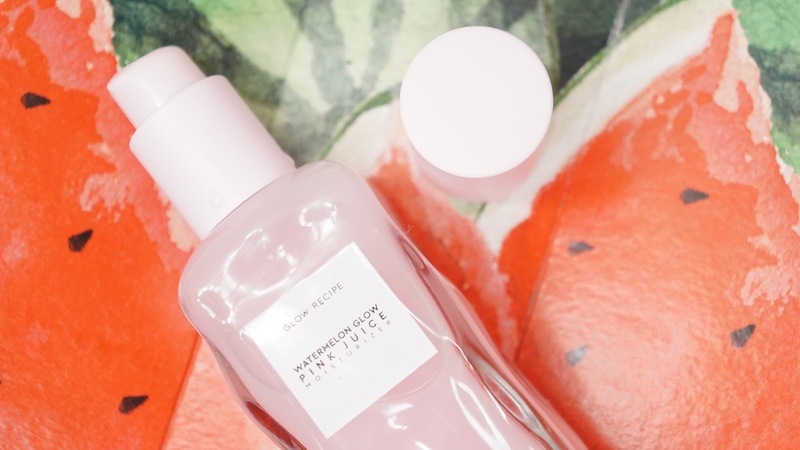 The Glow Recipe Pink Juice Moisturizer is described as a lightweight gel moisturizer packed with hyaluronic acid. It's also supposed to have a glow-boosting formula to help with brightening uneven skin tone and calming irritation. This moisturizer is targeted towards those with normal to oily skin, but can be used as a serum for those with dry skin. I'm on the camp that has to use this as a serum or essence. It's definitely not hydrating enough for me to use alone, but it's absolutely amazing as a layer of moisture before my main moisturizer. It's such a thin formula that it sinks in so well and I can visibly see my skin looking more plump and glowy after I apply it. I've used some other hyaluronic acid serums from The Ordinary and Glossier, but this Glow Recipe moisturizer takes the cake. It feels lighter than the other two formulas and I'm even able to layer it up to feel full moisturized, but it takes awhile for everything to sink in. If you have the Sleeping Mask, the fragrance is pretty similar. I'm quite a fan of the fragrance, but I know loads of people who don't like it. I would describe it as a refreshing sweet watermelon Jolly Rancher. 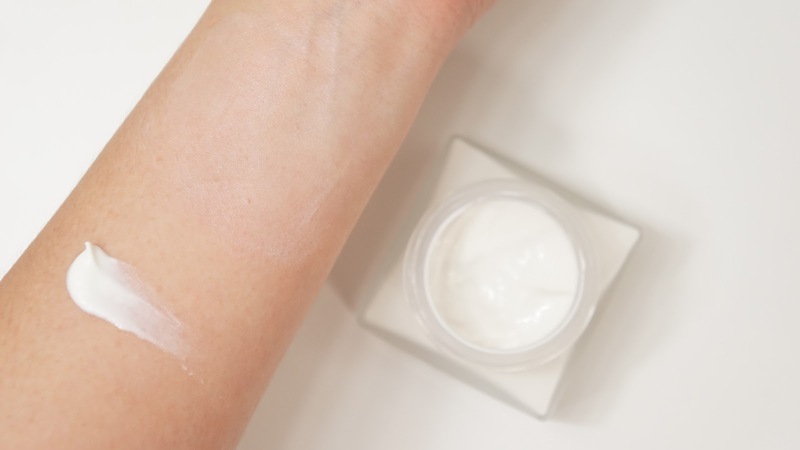 The watery thin texture is also pretty similar, but the moisturizer isn't as tacky and is more water like in terms of texture and how it sinks into the skin. If I had to choose between the two, I would 100% go with the Glow Recipe Pink Juice Moisturizer. Packaging aside, I love the Pink Juice Moisturizer so much more on my face. I also get wary wearing the Son & Park Filter Cream Glow because I'm aware of the weird color of the glow. The Pink Juice Moisturizer has become one of my favorite hyaluronic acid products to use. I feel like the Pink Juice Moisturizer is more universal as well since the gel like formula usually works better on oily skin as a moisturizer. Have you tried either of these moisturizers? Have you tried their hyped up predecessors?